It is well known that music and sound therapy enriches and transforms people in ways beyond measurement. But is it possible to tap this potential for transformation in a focussed, even systematic way? 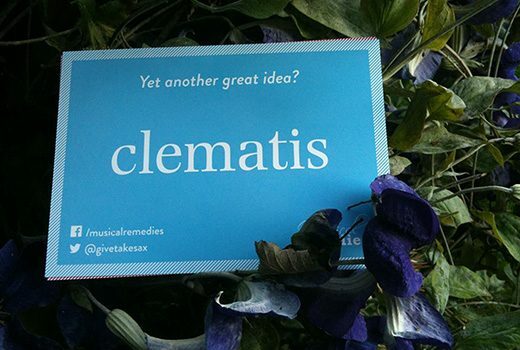 This project, Musical Remedies, by the composer Andrew Morris of Herefordshire, England, is an attempt to translate the essence of the Bach Flower Remedies into the language of music through musics and sound therapy. Dr Edward Bach (1886 – 1936) is remembered especially for his discovery of how to harness the healing powers of various plants, and his organisation of this knowledge into the system of natural healing known as the Bach Flower Remedies. Although primarily based on plants that were commonly found in England in the 1930s, the practise of the Bach Flower Remedies has now spread throughout the world and there are practitioners in all continents to guide people towards healing. Andrew Morris gives lessons in classical and jazz piano and composition to students of all ages.